Madame Tussauds Blackpool is celebrating the arrival of Bollywood superstars by renaming the seaside resort Bollypool for the day. The superstar collection of Bollywood actor wax figures includes Amitabh Bachchan, Hrithik Roshan, Shah Rukh Khan and brand new, never been seen before wax figure of Aishwarya Rai Bachchan. This collection will be revealed on 19th October, and a brand new figure of Kareena Kapoor’s is set to be unveiled by her in person later on that month. To make the figures feel at home Madame Tussauds Bollypool is laying on some Bollywood inspired theatre. Fans of the actors are invited to come to Blackpool and be entertained by dancers and Indian musicians. Fans are also encouraged to enter the ‘Strike a Kareena Kapoor Pose’ Facebook competition, where they can guess the pose the Bollywood star is immortalised in, take a photo and submit it to the Madame Tussauds Facebook page. The lucky winner who guesses correctly will become a VIP guest at her side by side launch at the end of October. For more details visit http://www.facebook.com/MTBlackpool. The touring Bollywood exhibition is a first within Madame Tussauds, designed to allow fans across the globe the chance to enjoy the fantastic wax figures and meet their favourite celebrities. The Bollywood figures will travel from Blackpool to other Madame Tussauds attractions throughout the world including London, Hong Kong, Bangkok and sites in Europe and the US. Kareena and the other Bollywood stars will take pride of place at the new Blackpool attraction alongside other figures from the world of TV, music and sport. 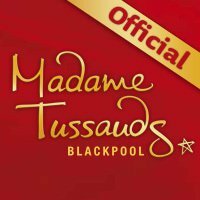 The attraction is the first Madame Tussauds in the UK outside of London and features highly interactive sets and experiences, where visitors can literally step into their TV and join the likes of Bruce Forsyth, Gok Wan, Louis Walsh plus many many more.